Tell someone I love you! with 20 of nature's most beautiful roses combined into one spectacular hamper. 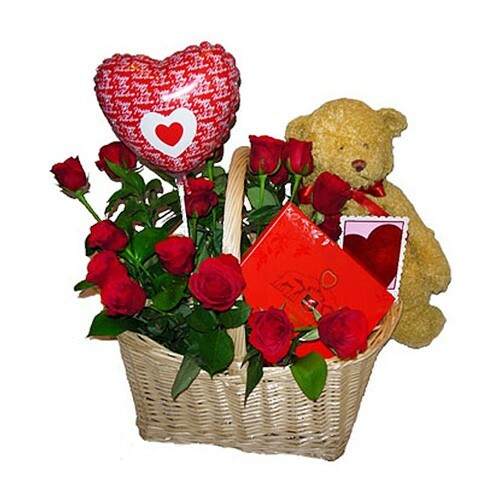 Accented with Chocolate, a cuddly teddy bear, a chic balloon and your message hand-written on a card, this magnificent floral gift will create a sensation this Valentine's Day.